Le-snip Salon is an establishment based in Pune dealing with cosmetics treatments and hair style for women. 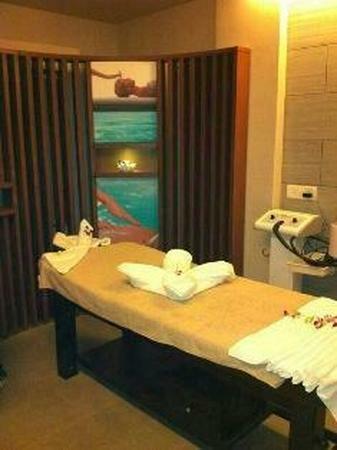 Le-snip - Salon has specialized services in Body Treatment, Skin Treatment, Spa Massage, Hair Treatment . Le-snip salon is one of the Top Salon in Pune provides various services for women. The salon provides services to customers keeping in mind the personal hygiene and beauty. At Le-snip salon each treatment is customized to your skin requirement so that no matter what your skin type you emerge with soft, supple skin and a glowing complexion. Le snip is a Bridal Makeup Artist based out of Pune . Le snip 's telephone number is 76-66-77-88-99, Le snip website address is http://www.lesnipsalon.com/, Facebook page is Le snip and address is Pune, Maharashtra 411016, India. In terms of pricing Le snip offers various packages starting at Rs 7000/-. There are 0 albums here at Weddingz -- suggest you have a look. Call weddingz.in to book Le snip at guaranteed prices and with peace of mind.